Born on March 24,1843 in Koprivshtiza. He was brother of the eminent Bulgarian writer and revolutionary - Lyuben Karavelov. 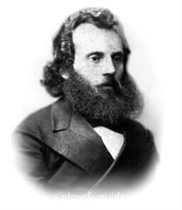 In the period 1860 - 1893 he completed secondary school in Moscow, studied in the History and Philosophy Faculty and the Law Faculty of the Moscow University. Petko Karavelov was the founder of the Bulgarian Literary Society. In 1878 he was the vice - governor of the town of Vidin and District Governor of the town of Turnovo. In 1879 Karavelov became MP in the Constituent Assembly, and Chairman of the First Ordinary National Assembly. In 1880 - 81 Karavelov was the Minister of Finance in Tzankovs cabinet, Prime Minister and Minister of Finance and Head of the Ministry of Justice in the second liberal government. Then he emigrated to Eastern Roumelia, where he was the Mayor of Plovdiv (1883 - 84). In the period 1884 - 1886 he was Prime Minister, Minister of Finance, Minister of the Public Buildings, Agriculture and Trade, Head of the Ministry of Internal Affairs. He was the Chairman of the Provisional Government after the dethronement of Prince Alexander I Batemberg, and was member of the Regency. In 1887 Petko Karavelov was accused in preparation of a coup detat - he was arrested and sentenced to jail for many years but was pardoned afterwards. In 1891 he was arrested after the murder of Hristo Belchev and charged with instigation. In 1894, Karavelov was granted amnesty by the Government of Dr Stoilov, and was later a MP in the Eight, Ninth, Tenth and Eleventh National Assemblies (1894 - 1901). In 1896 Petko Karavelov founded the Democratic Party, which he chaired upto his death. In 1901 he had the following governmental positions: Prime Minister, Minister of Finance, Minister of National Enlightenment. He died on 24.01.1903 in Sofia, and was buried in the churchyard of the Black Mosque (today the church of St.Cyril and Methodius and their five disciples).